At Cutter & Buck, we love to get out and explore. 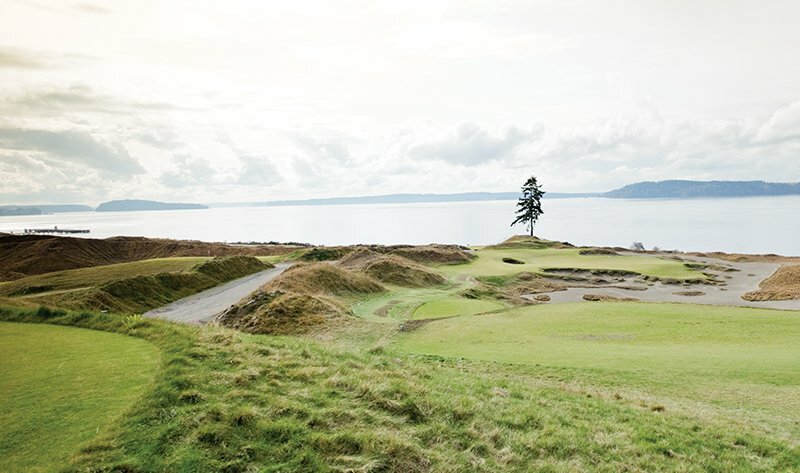 Whether it’s a weekend getaway or a spontaneous day trip, one of our favorite destinations is San Juan Island. Tucked in a rain shadow, this Pacific Northwest oasis enjoys 247 days a year with sunshine — even on a drizzly fall day in Seattle, you’re likely to catch some rays in the San Juans. Here are some of our favorite places to explore, eat and stay on the island. We always enjoy making new friends while exploring, especially ones of the four-legged variety. The 80-acre estate at Krystal Acres Alpaca Farm is home to an ever-growing herd of more than 50 alpacas. These curious creatures enjoy meandering the rolling fields, lounging under the shade of 100-year-old oak trees and eating grass. 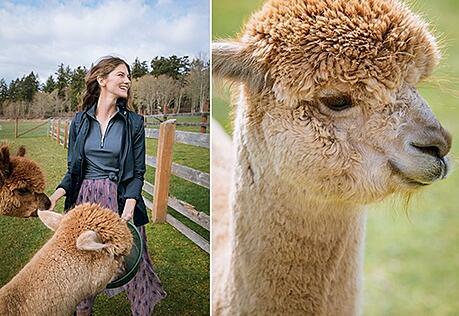 Cousins of the llama, the alpaca’s fluffy coat is its prized possession. The soft, insulating fiber makes beautiful pieces such as sofa throws, scarves, and cuddly teddy bears. You’ll find a wide variety of alpaca-fiber items in the farm’s country store. Have an alpaca question? The farm is family owned and operated. You can often find Kris, one of the owners, tending the herd in her signature green coveralls. She has a wealth of knowledge on all things alpaca. Designed with families in mind, the San Juan Island Brewing Co. located in downtown Friday Harbor is a lively community pub where all are welcome. The large and airy dining room offers a rustic, laidback feel perfect for relaxing with a pint (or two). The island-brewed beer doesn’t disappoint either. Crafted with locally sourced ingredients, when possible, the San Juan Sampler is typically our go-to. It features five small pours of the brewer’s choice, offering the best ways to find your favorite hop-filled libation. Few things are as breathtaking as seeing an orca’s massive body gliding gracefully through the ocean. And few places in the world are better for seeing an orca firsthand. Both residential and transient pods frequent the waterways throughout the San Juans throughout spring, summer and fall. While there are several tour operators, we recommend San Juan Safaris, operating out of Friday Harbor Marina. They report that over 95% of its whale-watching tours see these incredible creatures – more than any other tour operator. Lucky tour goers will even get to see an orca “breach” (come completely out of the water) or “spyhop” (raise the top half of their body out of the water). But orcas aren’t the only animals you’ll see on a tour. You may also catch humpback whales, porpoises and otters. Tour goers almost always see bald eagles, marine birds, harbor seals and sea lions. 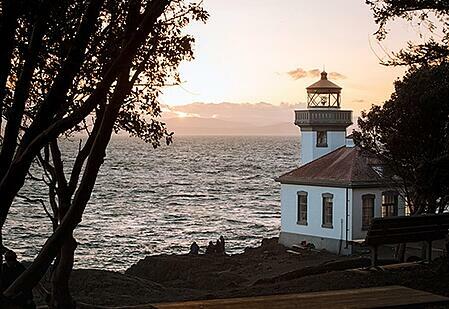 The Lime Kiln Lighthouse is arguably the best destination for land-based whale watching in the Northwest. Located on the western side of San Juan Island, the iconic lighthouse was built in 1919 to help ship captains navigate their way through Haro Strait. Nestled near the end of a rock outcropping, the beacon still shines today. The lighthouse was named after the nearby lime kilns built in the 1860s. In fact, you can see the remnants of a lime kiln furnace just a short walk from the lighthouse. Follow the trail north to a set of steep stairs that allow you to inspect the kiln closely. Nestled beside the marina at Roche Harbor Resort, the Lime Kiln Café offers hearty breakfast and lunch fare. However, it’s their donuts that steal the show. These cake-like babies are so good it’s hard to eat just one. Made in house, they come sugar-coated, chocolate-dipped or plain. You can get them glazed and sprinkle-topped. They even have regular specials, like a cinnamon toast crunch. But when they’re out they’re out, so get them while you can! Located in the heart of San Juan Island, the Pelindaba Lavender Farm is less than a minute from the San Juan Islands Scenic Byway. The grounds span more than 25 acres, featuring rolling hills of organically certified lavender varieties. Owner and founder Stephen Robins started the farm to preserve the lush valley from residential development. His vision was to create a self-sustaining, productive farm that enhanced the natural beauty of the area. He’s done just that. The valley is an exquisite destination that draws visitors from around the world. Extracting and processing the lavender oils on site, Pelindaba also creates a range of products for everything from personal care and cooking, to cleaning supplies and gifts. You can find these products in the farm’s Gatehouse Farm Store. This is also where the Distillery and Exhibits are located, allowing you to get a first-hand look and how lavender oil is distilled and used. Spending the night in Mother Nature is a therapeutic escape from the hustle and bustle of everyday life. We relish s’mores by the campfire and mornings surrounded by peace and quiet. But we’re not always interested in trading our bed for a bedroll. 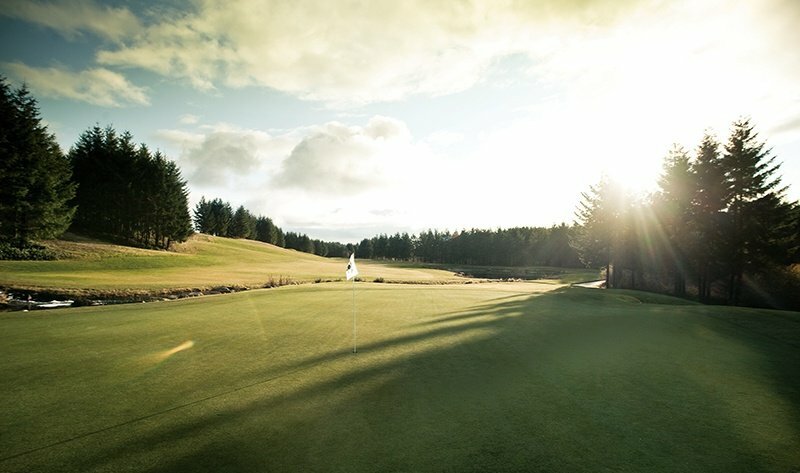 Luckily, at Lake Dale Resort we don’t have to. Their glamping tents come equipped with a bed. 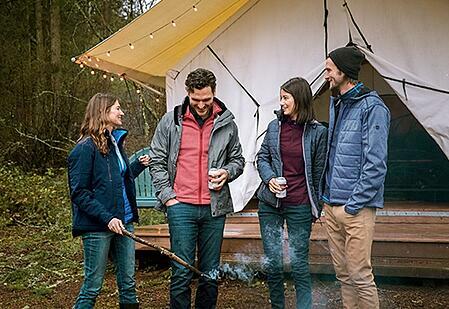 It’s the perfect combination of the outdoors and the comforts of home. We think vacation starts the moment we head out of town. Or in the case of flying with Kenmore Air, the moment we reach the dock of their downtown Seattle terminal on Lake Union. Kenmore’s planes are a bit different than the ones you’re probably used to — they float. 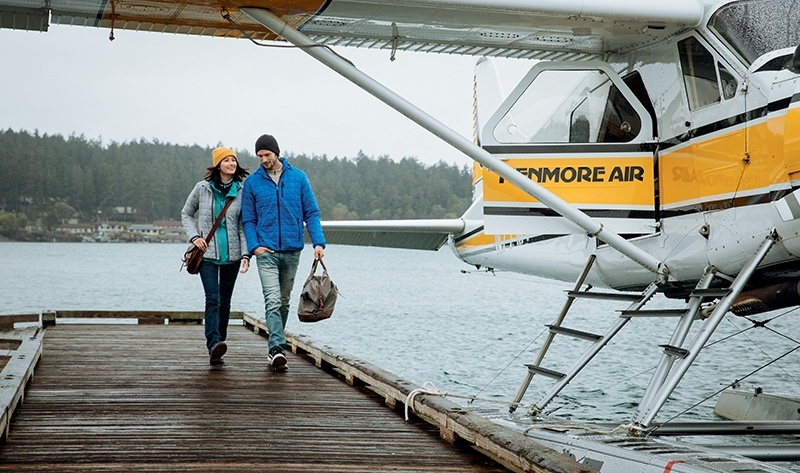 Known as the seaplane airline, Kenmore Air offers regularly scheduled service to the San Juan Islands year-round. The flights offer unparalleled views of the city and the landscape. Plus, the flights are just a quick 45 minutes. There’s no better way to get there.